1. Install Windows Server 2012. 2. Fulfill pre-requisites by installing SQL Server 2012 with SSRS. 3. If you have an error of installing Microsoft Visual C++ Runtime failed, uninstall the Microsoft Visual C++ Runtime first then try to install CRM again. 4. If you have an error of Windows Identity Foundation failed, install Windows Identity Foundation feature in your server then try to install CRM again. 5. Make sure you installed the following features in your server. 6. Make sure you have the latest updates installed in your windows server 2012. 7. To install CRM on Windows 2012 you will need to download the CRM setup from the Microsoft Download website. You won’t be able to use your iso image as it does not contain the slipstreamed UR6 package. 8. 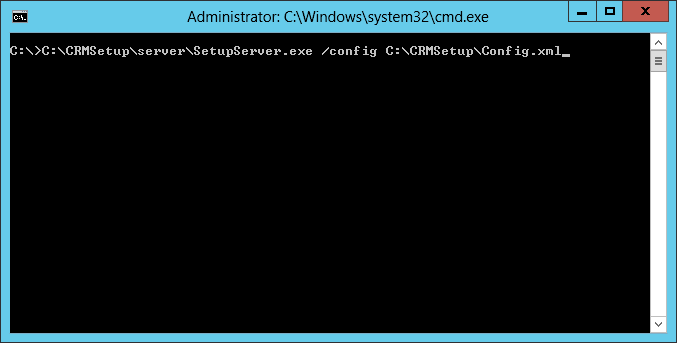 Get the updates for CRM 2011 to install in Windows Server 2012 using CRM installation wizard. If you don’t have internet connection or you cannot get the updates from the wizard, reference to the following url to get updates from Microsoft from this url “http://support.microsoft.com/kb/2434455“. The download contains all of the languages of the SHS and so you need to select the one that matches the base language of your CRM installation. Extract the cab file for your language and inside you will find a ‘.msp’ package. 9. Create the config.xml file so that the installer will pick up the updates from your update patch file. 10. Extract your installation package. 11. 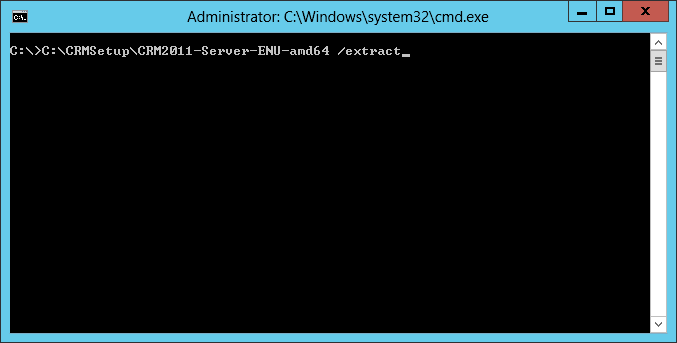 After extraction, run the SetupServer.exe and provide the config file details so that the SHS is used. 12. The checking for update step should show “Setup has finished downloading the update” to confirm that the setup has picked the SHS up correctly from the config file. After this step, the installation process is the same as what you did for Windows Server 2008R2.